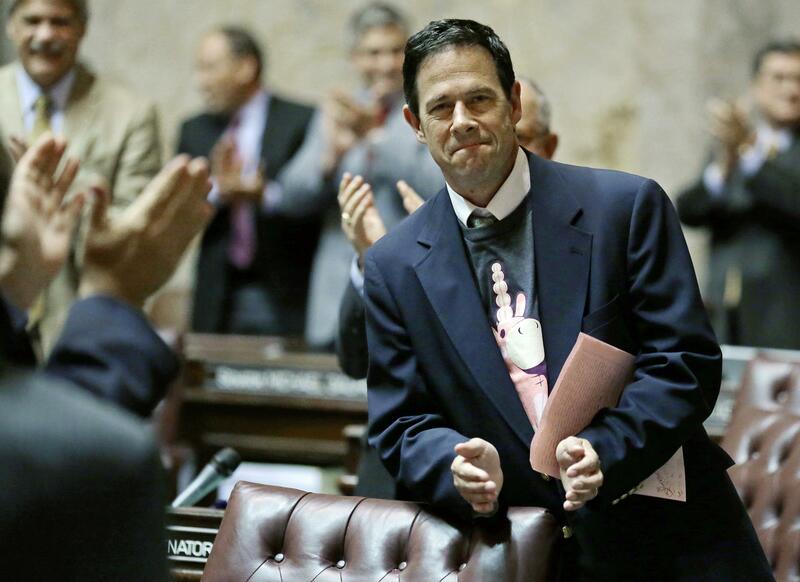 Tue., Nov. 1, 2016, 4:24 p.m.
OLYMPIA – Sen. Andy Hill, the key budget writer for the Washington state Senate, has died of lung cancer. He was 54. Hill died Monday surrounded by his family, according to a statement released by his colleague, fellow Republican Sen. Joe Fain. He was elected in 2010 to represent the 45th legislative district, which includes his hometown of Redmond. He was currently serving a second term following his re-election in 2014. Hill, who never smoked, was first diagnosed in 2009. The cancer ultimately spread to his lymph nodes and his other lung even after chemotherapy and radiation. After participating in a clinical trial at the University of Colorado Cancer Center, Hill had been cancer-free since early 2010. However, in June, he announced that he was battle a recurrence, but that he would begin chemotherapy and additional treatment. Published: Nov. 1, 2016, 4:24 p.m.